According to the International Organisation for Migration, just over 1m illegal immigrants came to Europe last year. 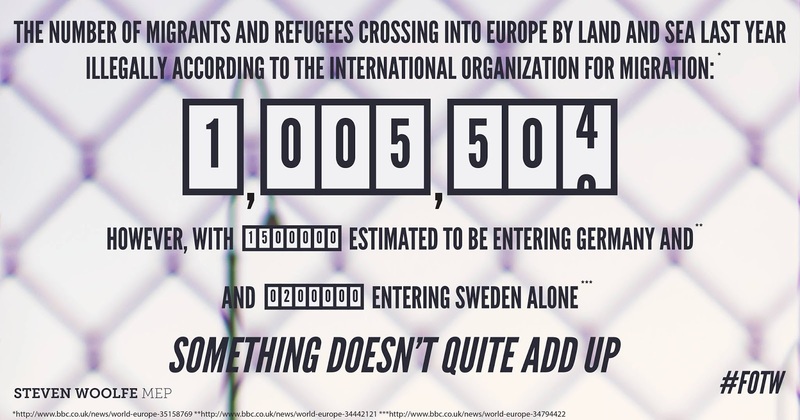 Of those 1m illegal immigrants, 1.5m went to Germany and 200k went to Sweden. If two countries have taken 170% of the official number of illegal immigrants, either the public are being deliberately misled or those responsible for tracking them are incompetent.